Absolutely everything you need for your horse. Shop confidence with us. 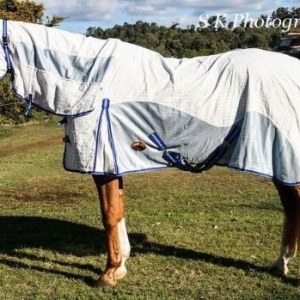 Why Are Our Horse Rugs The Best? 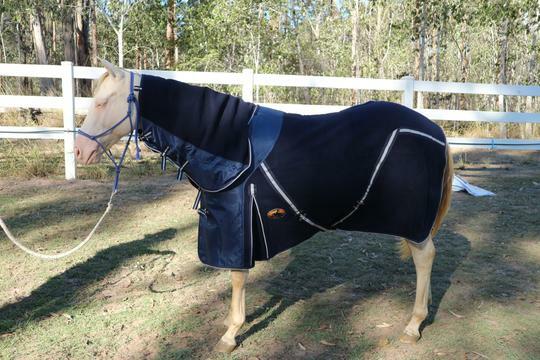 At Bang For Your Buck Horse gear, we have a huge variety of quality horse rugs that are suitable for the varied Australian climate. 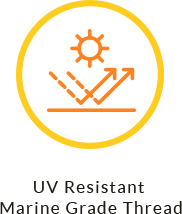 Additionally, we only use long-lasting and high-quality materials that protect your horse whether your horse is outdoors or indoors. 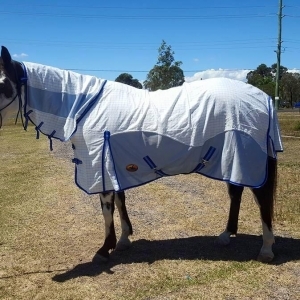 Together with, our durable horse rugs come in summer and winter options so that we can make you and your horse happy during any weather conditions, wherever you are at. You are covered no matter what season or condition you face. You will find something both you and your horse will love. 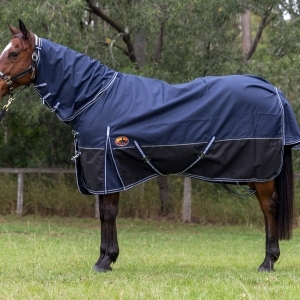 Not only will our horse rugs fit well but also they give your horse protection from sun, rain, cold and wind. 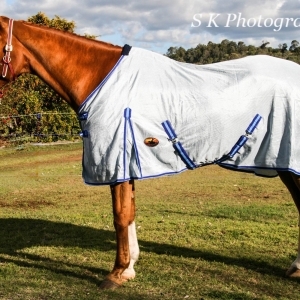 Moreover, our range of horse rugs is always kept at reasonable prices to fit every budget! Are you looking for something personal for your horse? 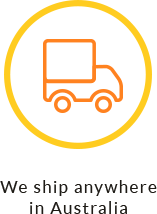 Why not take a look at our embroidery choices? 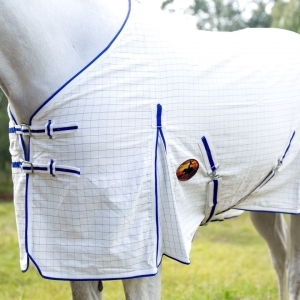 Similarly, you can add embroidery on any of our horse rugs. 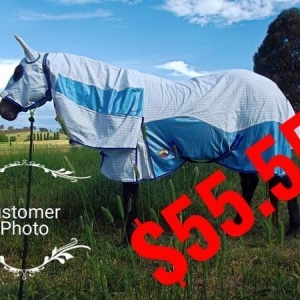 We guarantee you and your horse will love it. 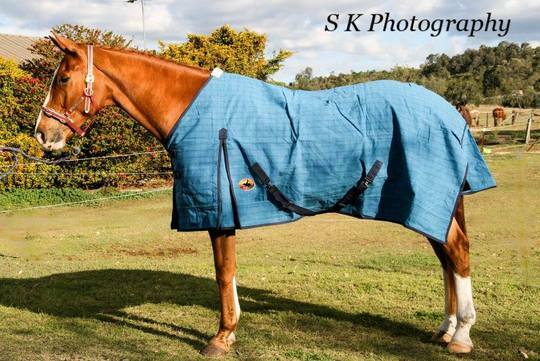 Have a look at our summer and winter horse rugs range and don’t hesitate to get in contact with us if we can be of assistance! 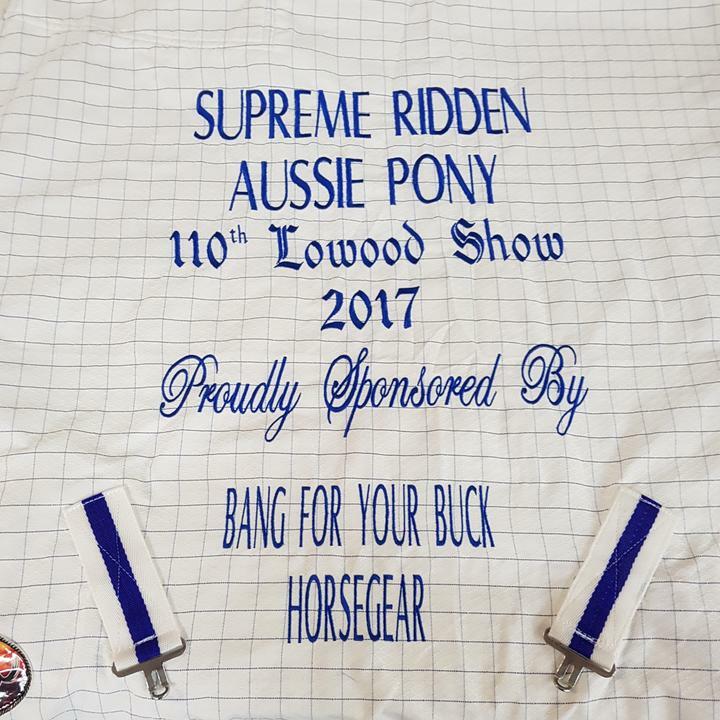 Between us, we have over 70 years of experience in the Australian Equine Industry. 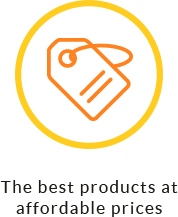 We provide the best possible quality at the lowest possible price and real Bang For Your Buck! Throughout this time, we had a small horse rug repair operation. This is when we noticed a lot of simple faults in our client’s horse rugs. And so we set out with a goal… To provide horse rugs that are the best on the market that remains affordable. 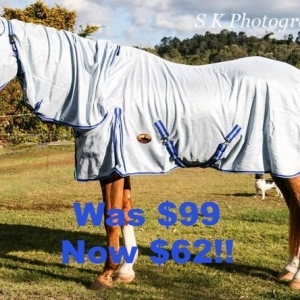 You can make your horse rug bit special at Bang For Your Buck Horse Gear. We have a variety of font and colours to choose from. Meet Our Happy Horse Clients! Thank you so much for both my rugs fit perfect very happy will keep getting all my rugs from you guys and saved my self so much money and time and video how to measure so rugs fit right is awesome as well, works a treat. Top quality service to match the top quality rugs. I constantly buy my rugs combo for them and will for a long time. Thank you! Zac likes his horse rug. It’s so soft and warm and it looks good. Great fit. The horse gear arrived on Friday & I’m absolutely thrilled with them! Perfect fit, beautifully made & the embroidery is fantastic. Thank you so very much for the excellent & speedy service. Super friendly service. Great product. Amazing value for money. Super impressed with the sizing/fit and quality for the price, and the embroidery was super! We accept credit card. Not to mention, we have an afterpay payment option for your convenience. 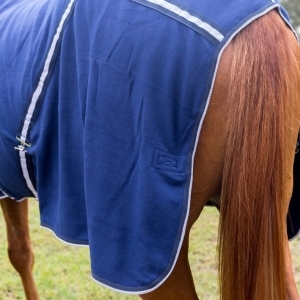 WHAT IS DENIER IN HORSE RUGS? : It is units of textile measurement. There are 600D, 1200D and 1680D. The bigger numbers are the thicker you can get. 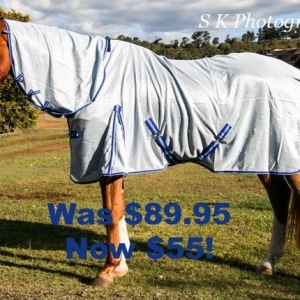 So if you are looking for the lightweight horse rugs then 600D will suit you and it is the cheapest of all. 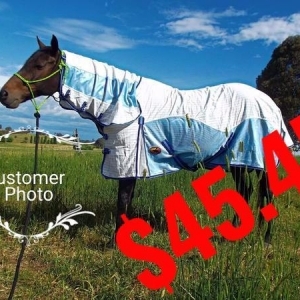 WHY DOES MY HORSE NEED A SUMMER HORSE RUG? 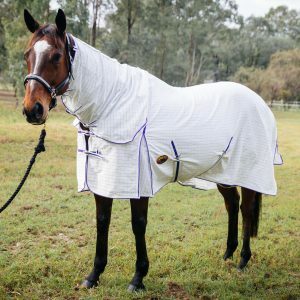 Why not keep your horse away from heat, dirt, and pests like mosquitoes and flies with cozy yet affordable summer horse rugs? 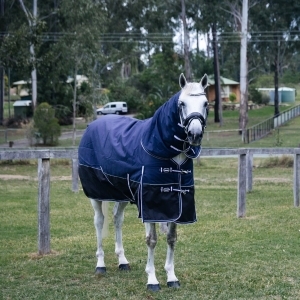 Whatever your horse needs, our summer horse rugs offer complete protection for the hot summer time. 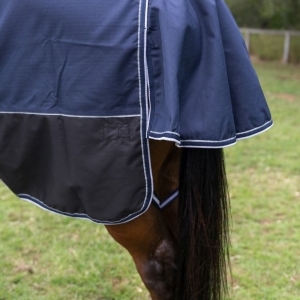 First, our summer horse rugs include ripstop, wax coated, rain sheets, UV protected and water-resistant for what your horse needs as a summer horse rug. 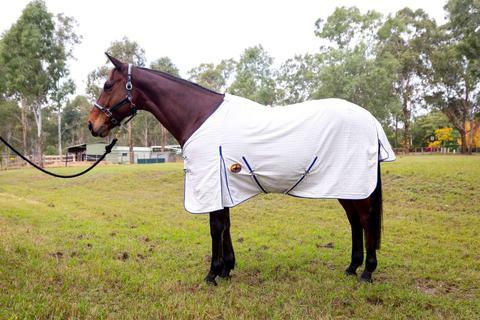 Besides, our summer horse rugs will keep your horse comfortable over the hotter months protecting them from heat and pests like mosquitoes, midges, and flies. 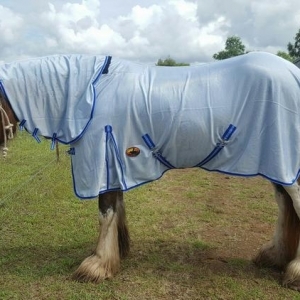 Our cool Summer horse rugs are perfect to protect your horse or pony from biting insects, or for those horses that suffer from Itch, and they will also stop your horse’s coat from fading in hot weather. 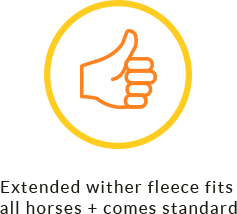 So why don’t you keep your horse in fantastic condition in this hot summer with Bang For Your Buck Horse Gear’s great range of Summer Rugs? We also stock winter horse rugs with personalised embroidery service. HOW DO I KNOW WHAT DENIER TO BUY? : Clearly, that depends on your needs. 1200D is the most popular one. In general, a 1200 Denier would have a fabric weight of 370gsm but it is very common in these days, many manufacturers use only 300gsm to compete for the price. The material looks the same and almost feels the same but its strength and durability will be down to 20% thinner. WHEN DO I USE TURNOUT RUG? 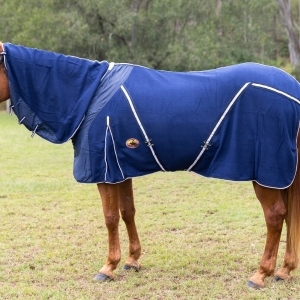 : Turnout rugs are great for keeping the horse clean and dry. It is warm in winter as well. 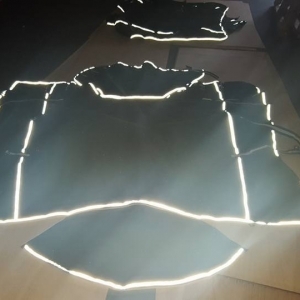 It is made of a waterproof synthetic outer material and ripstop material for the functional reasons. WHO NEEDS A HORSE COMBO RUG? : Combo rugs are 2 layers of rug that can be used for increasing warmth when needed. 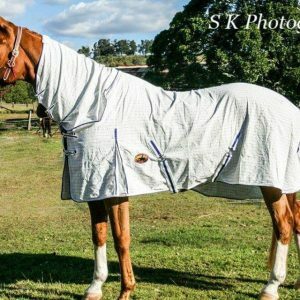 WHICH HORSE RUGS STYLES ARE OUT THERE? : Since here are huge demands on the rug, therefore there are many different types of horse rugs around the world. 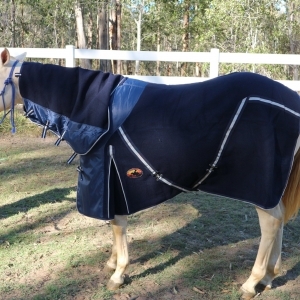 Standard neck rug, Detachable neck rug, Turnout rugs, Summer sheets, Stable rugs, High neck rug, Combo rug. In Australia, due to the climate, we have extra styles. 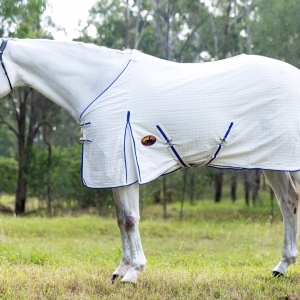 Summer rugs, winter rugs, cooler rugs, fleece rugs, fly rugs and so on. 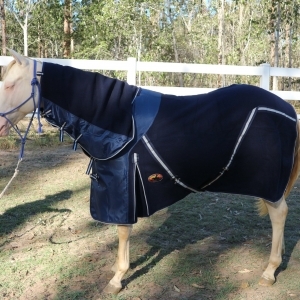 WHY CHOOSE BANG FOR YOUR BUCK HORSE GEAR FOR HORSE RUG? 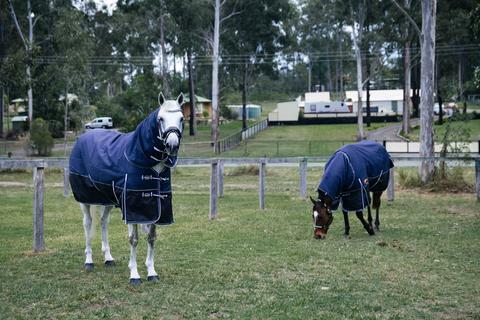 Uniquely, our summer horse rugs are designed by Australian and made for Australian Horses. 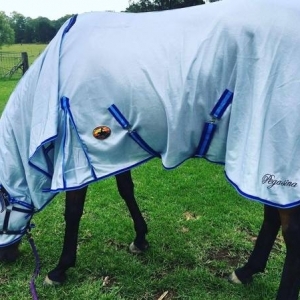 Today, Bang For Your Buck Horse Gear has grown to be the fastest growing manufacturer of quality summer horse rugs & horse accessories at reasonable prices. 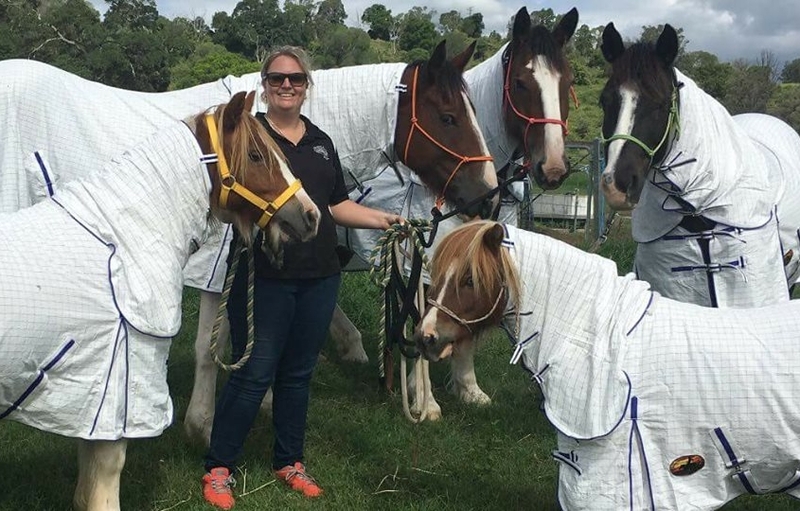 Proudly, we are a 100% family owned and managed Aussie horse rugs company. That’s why our customers love us! Because we make difference in summer horse rugs industry big time. 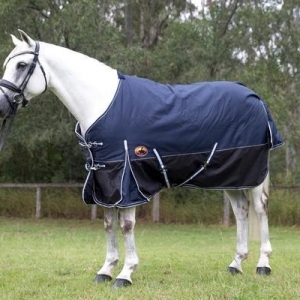 Browse our huge range of summer horse rugs online today. We made horse ownership became affordable for everyone in Australia. Any Questions About Our Horse Rugs?